Note from Jessica: One of the things that I’d like to start doing is profiling some of my favorite artists, writers, and friends. I am hoping to start interviewing living people soon too, so if you have any ideas of good interview questions, or if you would like to be my guinea pig, please let me know! For the first few profiles, I thought I’d introduce some of my favorite artists. 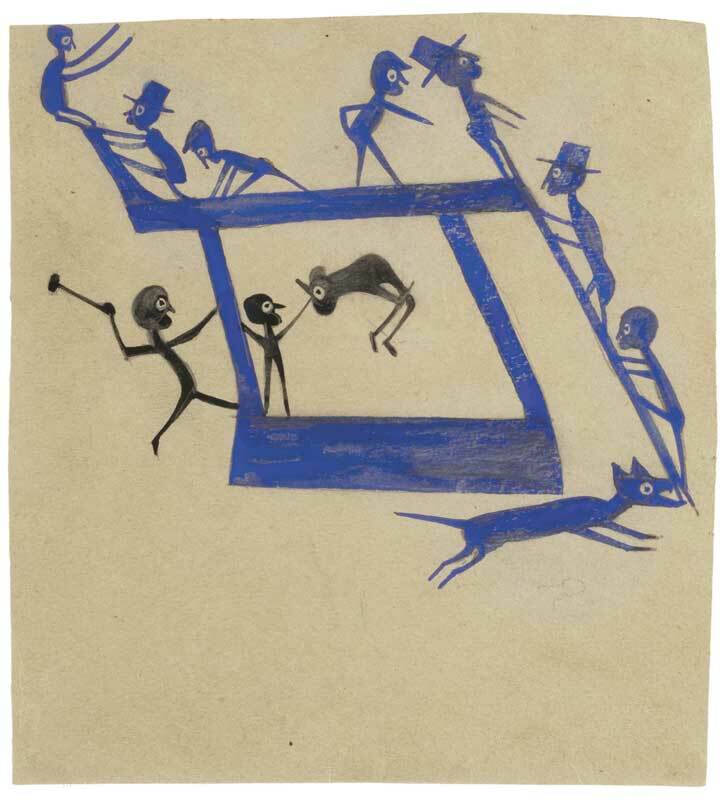 I first saw Bill Traylor’s (1853–1949) work at the Whitney Museum’s “America is Hard to See” exhibit a few months ago. 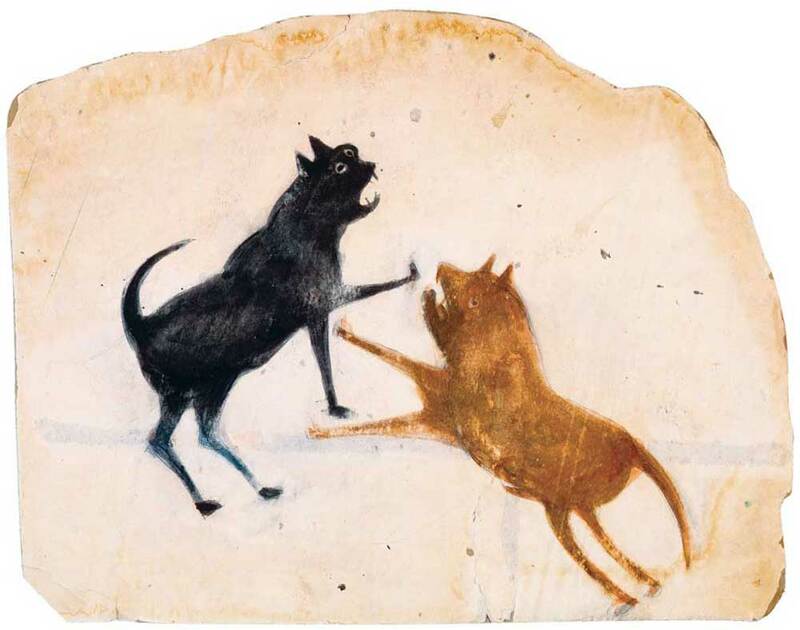 The first thing I learned is that Bill Traylor is from Alabama like me. 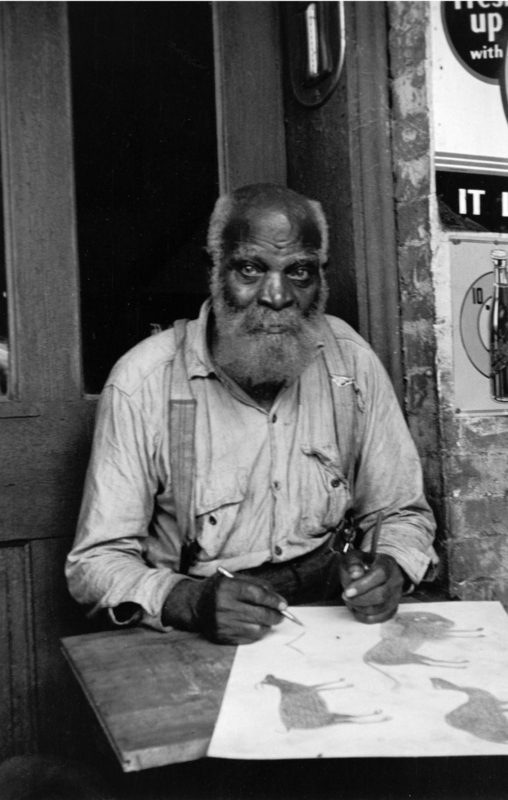 He was born into slavery, worked as a sharecropper after he was emancipated, and moved to Montgomery, Alabama in 1928. Several years later, he lost his job due to rheumatism and became homeless. Traylor didn’t start drawing until 1938, when he was already 85 years old. Over the last decade of his life, he produced somewhere between 1,200 – 1,500 pieces of art. 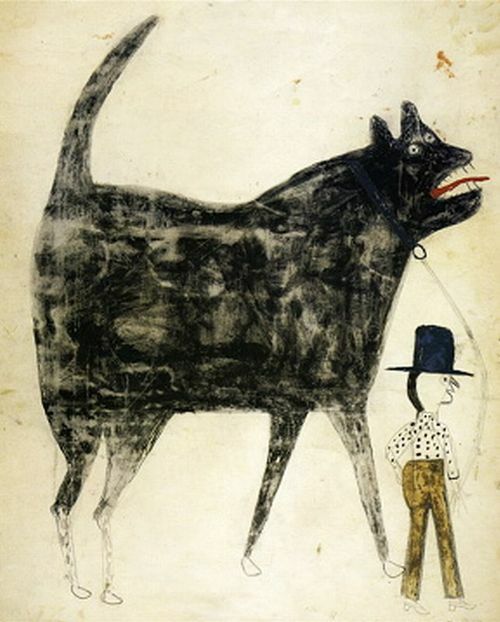 Bill Traylor was a self-taught artist. 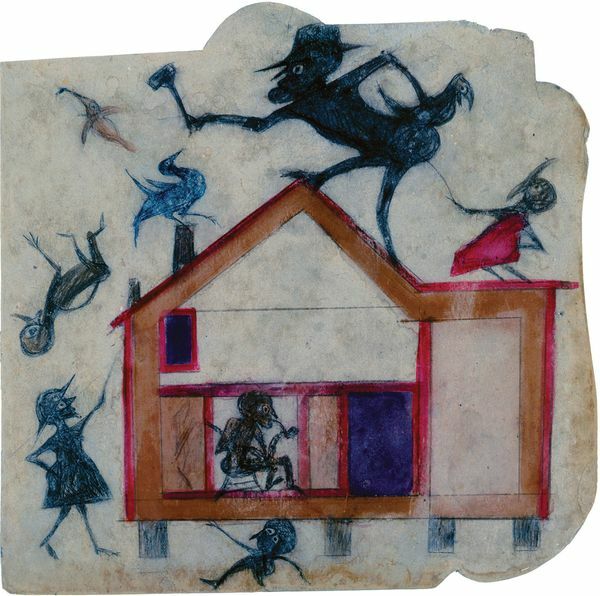 He drew on a variety of sources for inspiration in his art, from past memories of living on a plantation to the events occurring in “Dark Town”, the six-block African-American community in Montgomery. Although he had an exhibition during his lifetime, he did not become widely known and celebrated until around the 1980s. There are some recurring motifs throughout his work, animals, mostly dogs, fighting couples, urban life, and a really unique use of negative space. He drew mainly on found objects, discarded cardboard boxes that he salvaged from the garbage. He sometimes worked the stains and dirt of the cardboard seamlessly into his art. In Traylor’s case, to appear childlike has a more profound meaning–that of survival–of flagging himself as unthreatening to a white world. I like Bill Traylor’s work because I find him inspiring, the scholarship surrounding his work interesting, and his work smart and witty. There is still a lot that I need to read about him, and I am excited to share more with you as I come across it. Have you heard of him before? Have you seen his work before in person?